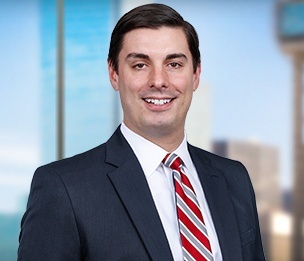 Sean Buckley is an associate in Dykema's Dallas office in our Business Services Group. Sean has experience in a wide variety of business transactions and real estate matters. He works closely with clients of all sizes, from individuals and small start-ups to large corporations doing business in all fifty states, to provide strategic advice in a range of industries, from corporate matters and real estate to technology services. Sean works closely with clients’ business and legal personnel to understand their objectives and operational risks and to structure and negotiate their transactions accordingly. Sean also represents clients in technology and new media industries, and regularly drafts and negotiates agreements with ad servers, data suppliers and data management companies, measurement and analytics companies, and other ad and technology platforms and providers in connection with a variety of commercial relationships with local, regional and Fortune 500 brand agencies and marketing companies. Sean’s practice regularly involves helping businesses create and improve upon legal processes and standard form agreements within their organizations to mitigate risk while considering economic opportunity. Prior to joining Dykema, Sean received his Bachelor of Business Administration while working in a management role for a large, Texas-based supermarket chain. He then went on to obtain his MBA and his law degree from Texas Tech University while on a Board of Regents Scholarship. "The Twenty-First Amendment and Dormant Commerce Clause: Conflicts in Interstate Shipping"